One of the really cool things about my participation in the Southern Spring Home & Garden Show in Charlotte, N.C., which starts Wednesday, is that this marks the 50th anniversary of the show — and under the ownership and direction of the same family: First, Robert and Joan Zimmerman and continuing now into the next generation with their son David. What a wonderful opportunity to ask a few questions about 50 years of change. 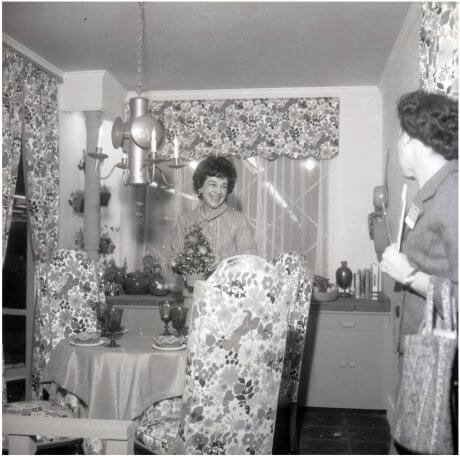 What were the first shows in the early 1960s like… and what do you remember about both the interior design and the “mood” of the period. Joan Zimmerman: The early sixties were fabulous years. People were so easy to please. There were not many interior designers, or landscapers. It was very much a do-it-yourself with what you had society — and we were all searching for something new. Which means that, in the 60’s, when show guests saw imaginative gardens, rooms like ones they’d only seen in magazines, and breathtaking orchids -– they were thrilled. The rooms had lots of greens, oranges, pinks, flowers, and bold geometrics. Some were truly what is now referred to as mid-century modern (sounds better than ‘old’). Formica was big. The rooms tended to be either very sparse (modern chic) or traditional. Braided rugs were a mainstay, and fitted carpets took over every floor in the country -– people put fitted carpet over beautiful wood floors. At the shows, the designers were like celebrities. They stood inside their rooms and explained some of their “ideas,” for their admiring fans. One very popular room had a country French feel, with a large comfortable red and white bold check wing chair; a round table, on the table was a wire French chicken shaped egg basket … the wire basket was the hottest item in the show. How do you think homeowners’ views of their homes have changed over the years? Joan: Homeowners views have changed, as society has changed. With each decade, consumers have become more educated, and better informed. At the shows, just like the nation, we’ve gone through the ‘country’ phase, with its ruffles, padding, quilts and rick-rack; to the gauche and glittery, everything off the rack and matching; to throw-away, paper people society, to the feng shui and simple serenity. Now, we are, it appears, in the “anything goes,” phase. We still have homeowners who want the ‘more is more,’ there are a lot moving toward the ‘less is more,’ and there are even MORE moving to the traditional feeling and trying to create a home that is easy on the eyes, the checkbook, the family – and a place where you want to spend most of your time. You could say we’re back to the 60’s. Our first kitchen was sunshine yellow; our second one featured the latest and greatest avocado green. The kids (now 52 and 49) rooms were bold primary colors, with great (aka cheap) posters. What do you think of this whole Mad Men style renaissance? Joan: The Mad Men style (I personally think) is not a renaissance, but another phase. The furnishings are fun, easy, still affordable, some of the furniture is actually comfortable – and in some strange way, I think it makes people feel they are being frugal (like their parents). I love the show, though (I worked in an ad agency in Chicago in the 50’s). 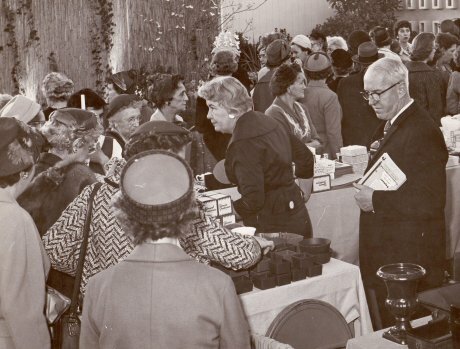 Some additional history about the show: The year was 1961, and for the first time, garden enthusiasts in the Carolinas did not have to travel to New York or Philadelphia to see a first-class garden show. 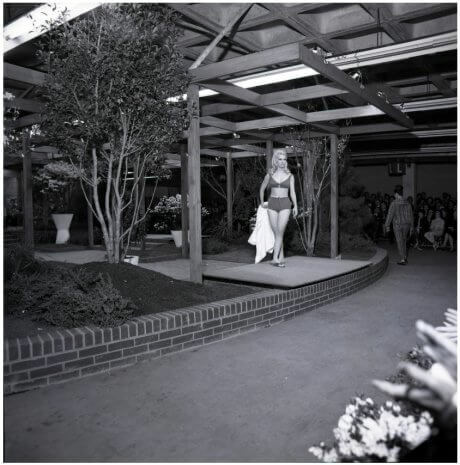 The first Southern Spring Home & Garden Show, then called the Southeastern Flower and Garden Show, began in Raleigh. It was a beautiful show, and people loved it. 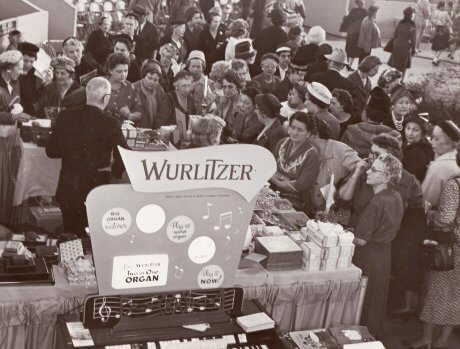 It began a now 50-year tradition, which company which founders Joan and Robert Zimmerman have grown into one of the largest consumer show companies in the country. 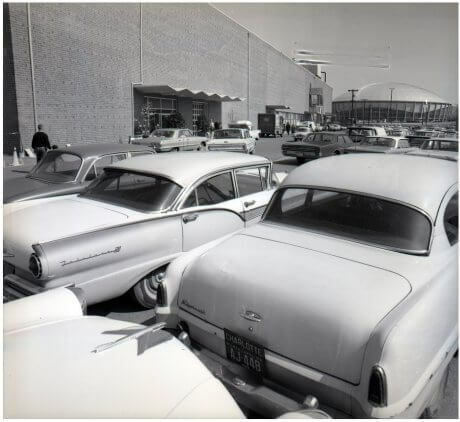 Two years later after launching the original show in Raleigh, the brand new Charlotte Merchandise Mart provided much-needed expansion room, and the show moved to Charlotte. The original building, now known as Independence Hall, provided 80,000 square feet of space, and allowed the show to expand beyond its flower and garden focus. To recognize the show’s more encompassing appeal, in 1968 the show changed names to be known as the Southern Living Show. A little-known fact is that this new show name was coined before Southern Living began publishing. However, the new magazine soon saw the advantages of being affiliated with the event, and worked hand-in-hand with the show until 1984. In 1985, the show became the Southern Spring Show, and in 1990, it experienced a major expansion with the addition of Liberty Hall. 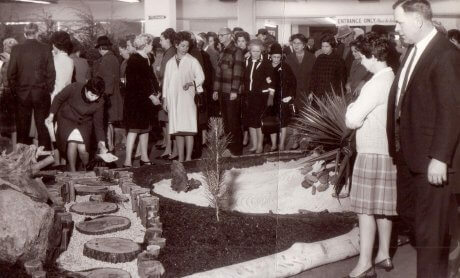 In 2004, the show was transformed once again, folding in the spring edition of the Southern Ideal Home Show to become a true home and garden show. With the change came its current name, the Southern Spring Home & Garden Show. lovely pictures. notice that the people dressed to go out (hats, dresses, suits). good luck on your speeches-you’ll do just fine! It will be interesting to see where the “new” traditional feel for the home will lead us in design. Affordable would be a good thing, but those of us here already are into that!